Power was restored to thousands of APS and SRP customers across the Valley Saturday night following Friday night's Monsoon storms. For the latest radar conditions, click here . 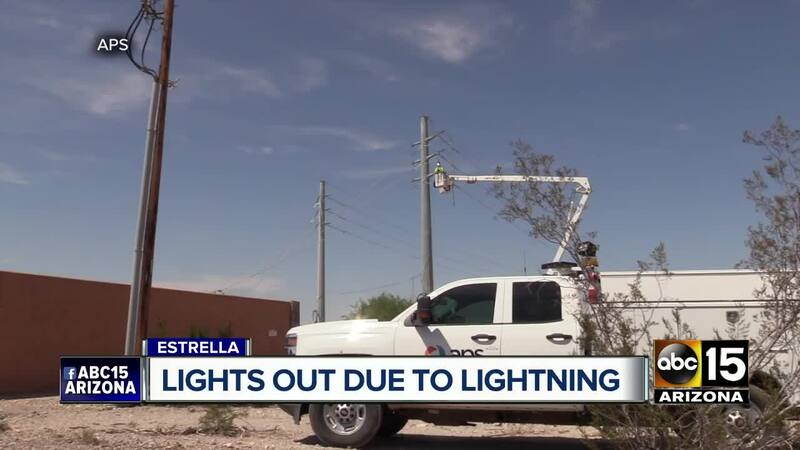 A spokesperson with APS says the overnight storm knocked out power for thousands of people — 2,700 in the Estrella Mountain Ranch neighborhood in Goodyear. Power was restored around 10:30 p.m Saturday night. APS spokesperson Suzanne Trevino said lightning struck a substation which will take about a week to repair. 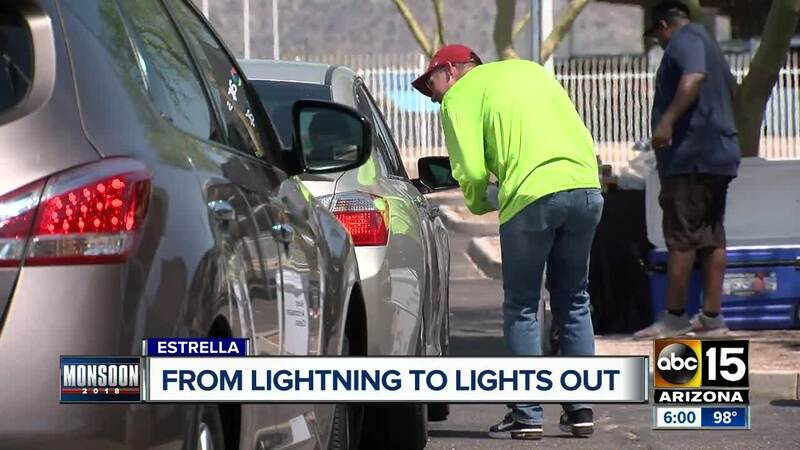 Estrella Foothills High School was turned into a cooling station and ice distribution center for residents who were affected by the power outage.